As their California condor population continues to grow, the folks at the San Diego Zoo Safari Park are giving their California Condor Recovery Program a maternal makeover – and we think we hear peeps of joy from new baby birds born in captivity. 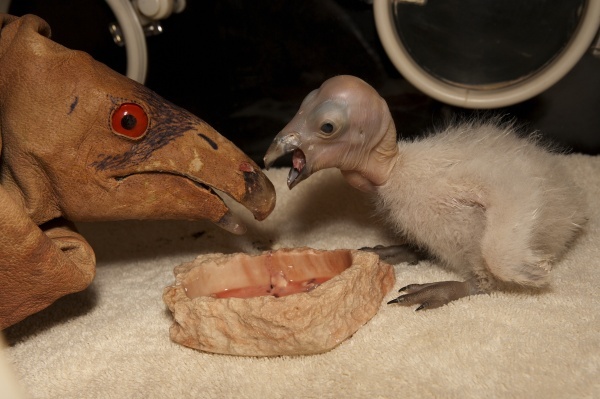 Last week, a condor chick hatched with the assistance of its parents – a new practice since in the past, the first egg laid by a condor pair was hand raised by a zookeeper with a puppet. Today, however, more condor eggs are being left with parents to raise and mentor their own chicks. Currently, two chicks, which hatched at the park this month, are being raised by their parents; and two other eggs in incubators are on next on tap. 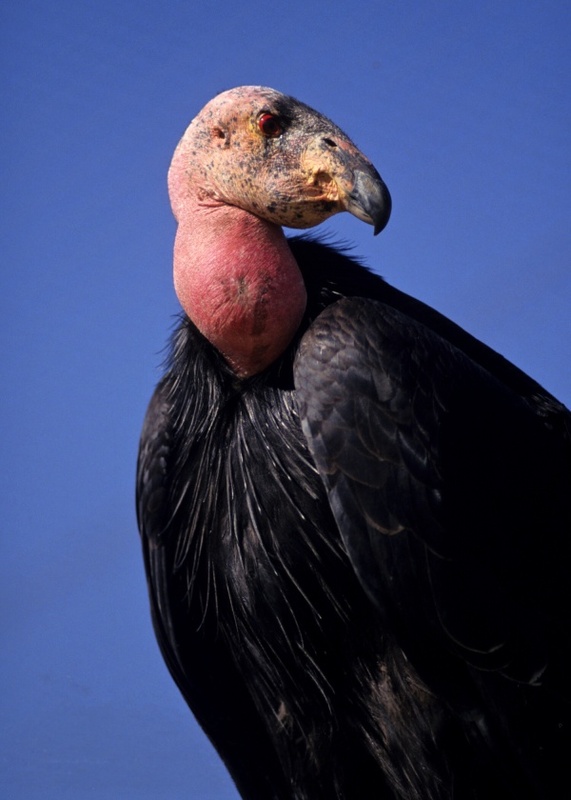 Scientists estimate there are now more than 370 condors around – with birds laying eggs in breeding centers (like the Safari Park and the Los Angeles Zoo) as well as in the wild. Out in their territory, these bald headed beauties inhabit crevices and caves, and condor couples usually lay one egg at a time with a chick hatching about two months later. Considered nature’s “clean-up crew,” condors prefer large dead animals – like cattle and deer – and can go without food for several days. We also have it on good authority that they don’t care so much for marionettes, the Muppets or Madam Wayland Flowers.